Last weekend, my dad finished three boxes of durians which I've carefully hidden in the refrigerator. We agreed to continue the next day after we had lots of fun eating 3 boxes the night before. I was horrified to find that those sweet-tasting durians were gone the next day. "Sorry, I couldn't resist," said my dad. In the estate that I live in, it's hard to find high-quality durians that taste as good as this. Jonah just started his online duriandelivery for two weeks and he asked me to share my thoughts about his durians. It's my virgin experience buying durians online, so here goes nothing! I'm not a veteran in durian selection because my dad is the 'expert' in the family. However, except for the XO D24, we couldn't tell the visual difference between the type of durian. The taste was quite distinct for us though. As duriandelivery is only 2-weeks old, they're still streamlining the delivery process. I told Jonah that I'd really hope to get the durians in the afternoon, so that I can get good lighting for photography. However, he insists on the 'freshness' quality and said that he can only deliver from 6-10pm. I think this is pretty remarkable because in this visual age, he'd rather compromise visual quality than the taste/freshness. Duriandelivery.com keeps the durians really fresh by shipping them in direct from Malaysia, from their very own plantation, making them extremely fresh. They also have full control of the quality of durians that they send. 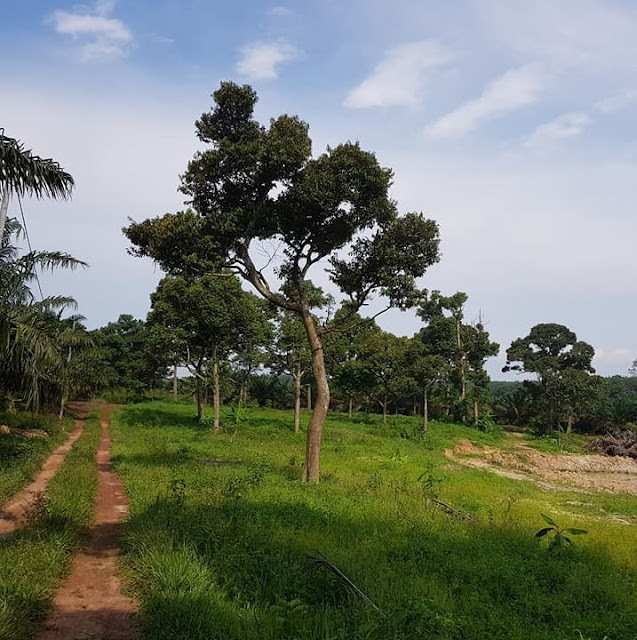 According to the website, the popular Mao Shan Wang (aka MSW Durian) is plucked from only the oldest, most premium trees. 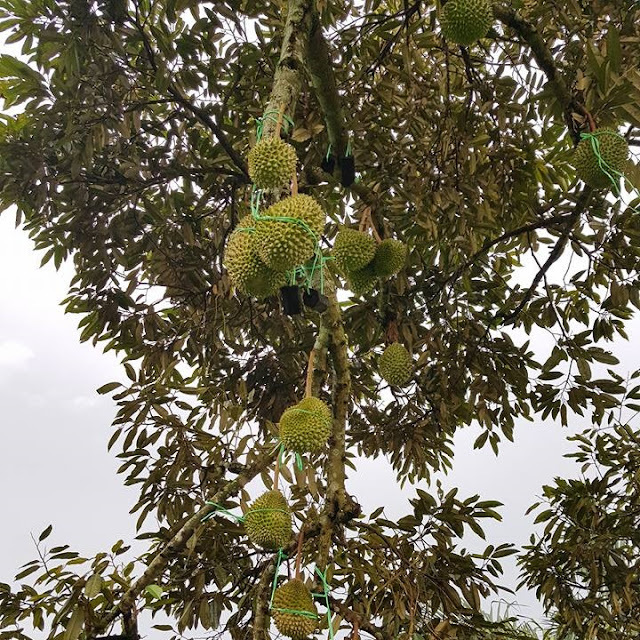 I guess durians are a little bit like aged wine — the older the tree, the tastier it is. Everything in this category goes through high quality-checks: the cultivation of the first fruits is scrutinised like how the Japanese does it. Rich, heavily complex flavour and also slightly bittersweet. I've not seen my dad wolfing down durians before — he literally finished four seeds before I could get to my second one. What the heck, dad. Leave some for me please! This breed is so popular, it hardly needs any explanation. A lesser known name for this is the Musang King. Cafes and restaurants charge a premium for their ice-cream when they use MSW. The flesh is thick and creamy, and you will experience a sweet, yet slightly bitter taste. Our least favourite is the XO D24. Most people love the XO D24 because it is a bitter-sweet variant. I know my uncle will fall head over heels for this! It is extremely creamy and makes a great 'first fruit' for those who have never tried durian before. Some say that there's a "XO aftertaste" too. I hope that they'll reduce the minimum order value (currently, its free delivery for orders above $200). I think it's still worth to pay $10 (its higher than my cab fare to the nearest roadside durian stall). The delivery came in sealed plastic boxes — unfortunately, i couldn't seal it back again because there's no cap or lid. I had to transfer them into tupperware. I'd prefer using these plastic (hopefully they'll become biodegradable) compared to the styrofoam boxes that are atypical in roadside durian stalls. I hope that they will expand their business rapidly so that their packaging can be improved. Thanks Jonah for the durians! They were really tasty.